And in case you need some inspiration just check out below some of fun things we’ve been playing with her at Miss Teddy HQ! 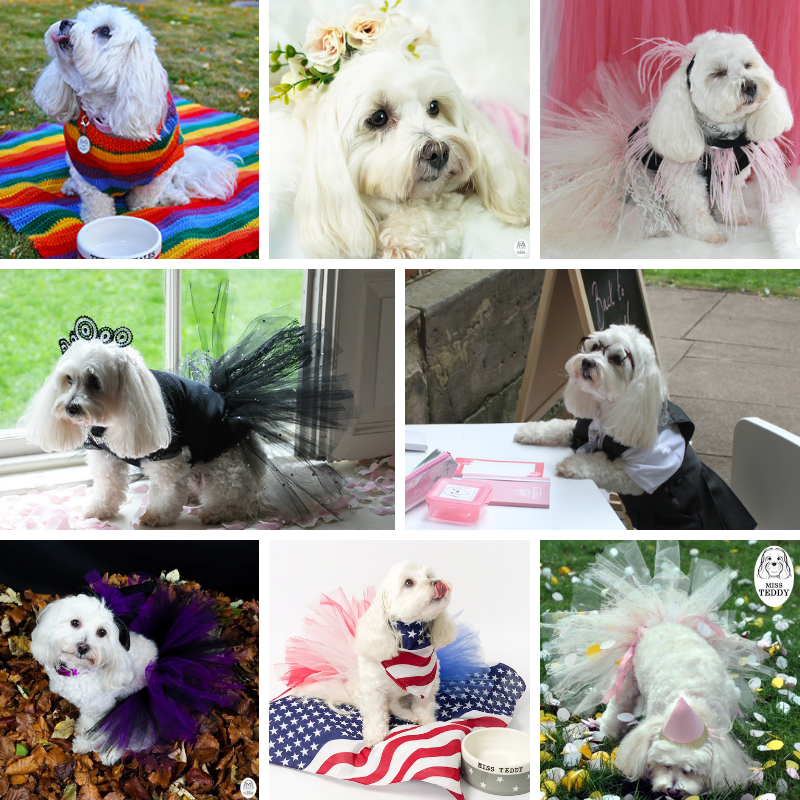 On top of all of that we make sure all our items are measured properly so that you can be sure your bespoke Miss teddy outfit will fit your pampered pooch perfectly! Contact us on live chat below or email us to see what we can do for you.